All kinds of organizations are doing it these days. Nonprofits and for-profit companies of all sizes across all sectors are “rebranding.” Southwest (check out those new planes! ), CVS (now in the “health” business) and ING (aka Voya Financial) have all rebranded in the past few years, just to name a few. Sometimes rebranding involves redesigning the logo. Occasionally that means renaming the company. But always a successful rebranding effort requires so much more than that. Here is some of the foundational work that is critical to maximizing your ROI from a rebranding initiative. Simon Sinek’s book/lecture “Start with Why” has inspired thousands of companies to take another look not just at what they do, but why they do it. For any sustainable company, that isn’t just to make money. Re-examining why your business even exists is the best place to start with your rebranding efforts. Maybe your mission hasn’t really changed. But maybe you’ve never clearly, succinctly, publicly articulated your organization’s reason for being. The issue here is why you’re in business … not why you’re engaged in marketing. So rebranding efforts are doomed to fail if they’re just another marketing program. Yes, they can and should be stewarded by your marketing team. But they should also be championed by your leadership and embraced by everyone within your organization. If your mission is your internal rallying cry, your brand promise is your external calling card. Once you’ve confirmed why you’re in business, you can more authentically convey what you can do for your target audiences. Ask yourself: Who do we exist to serve? What can we do for them that is true to our core capabilities, relevant to their needs and unique from our competitors? 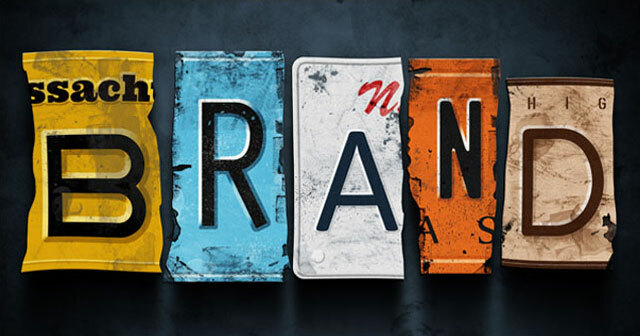 Rebranding is a great opportunity to reconnect with your many stakeholders. But don’t just communicate with them as part of a brand rollout campaign after you’ve already made all the important decisions. Rather, engage your internal and external stakeholders upfront as well as throughout your rebranding efforts. Your employees, your customers, your board members, your volunteers all have important insights into your true brand “essence.” Listen to them. That doesn’t mean you need to be hamstrung by a goal of consensus. But you should move forward knowing which current perceptions you can reinforce — and which you need to reshape. Most companies rebrand without changing their name. But if you are ever going to change your name, now is the ideal time to consider this option — before investing in new marketing efforts to support your rebranding initiatives. Of course, you need to carefully weigh how much name equity you’ve already built. If you’re still relatively unknown and/or your name conveys an outdated or limited perception of your brand’s relevance, then it may be time to at least evaluate the possibilities. Once you’ve reconfirmed why you’re in business, who you serve best, and what advantages you can offer, then you can determine how to tell your story. So much branding time and attention is given to typefaces, logomarks, even taglines. But in today’s digitally driven, socially shaped, content-sharing world, you need to think about the total experience of interacting with your brand. What’s your brand personality? How do you want to sound in voicemails, in the media, in social media channels, at community events? How do you want to make others feel? All of these conscious decisions should be capsulated in a brand engagement guide rather than the typical, outdated brand standards manual. Rebranding is not an effort to be taken lightly, just because it seems time for a new logo or a catchier tagline. When driven by the right reasons and guided by a strategic process, it can position your organization for the next level of success. Jill Adams is CEO of Adams & Knight Inc., an Avon-based integrated marketing agency. Is there a new logo in your future?